Guaranteed departure schedule: 22.07 – 27.07.2018 for small groups. 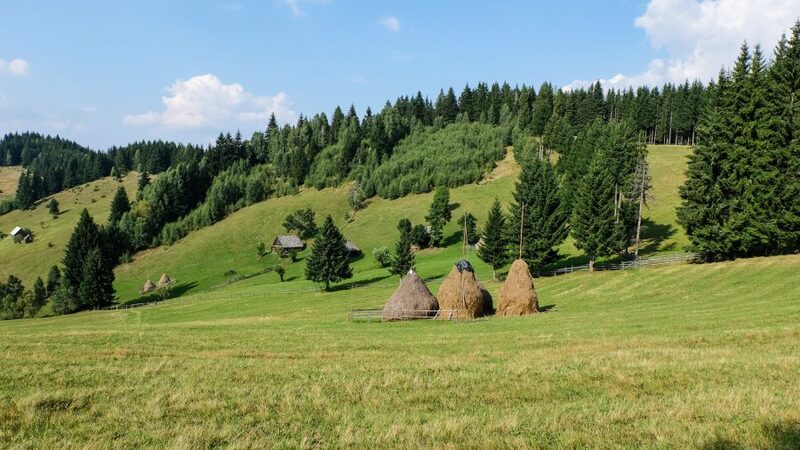 Adventure in Transylvania and bear watching takes you to mythical and wild land of Romania and Carpathians Mountains. A trip to this part of the world is to enter a maelstrom of natural sensation. Guaranteed departure schedule: 22.07.2018 – 28.07.2018. 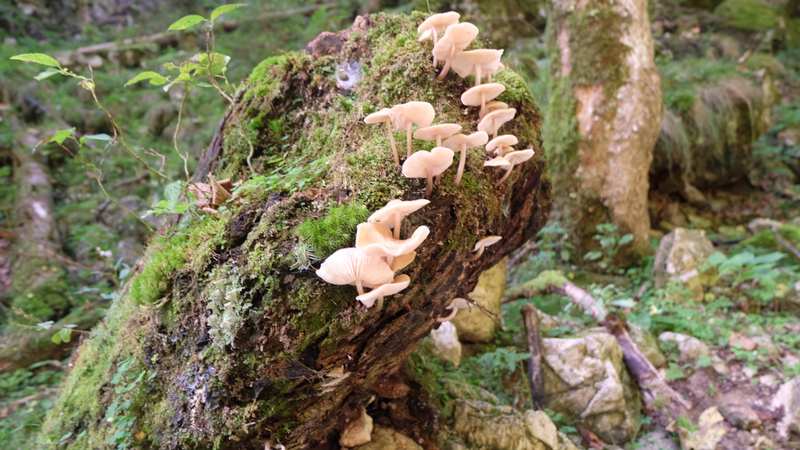 This is a small group hiking adventure tour of Carpathian Mountains. Day 1. Arrival at Bucharest airport /or pick up from Bucharest. This tour, can also start from Brasov city. Transfer to Pestera Village. 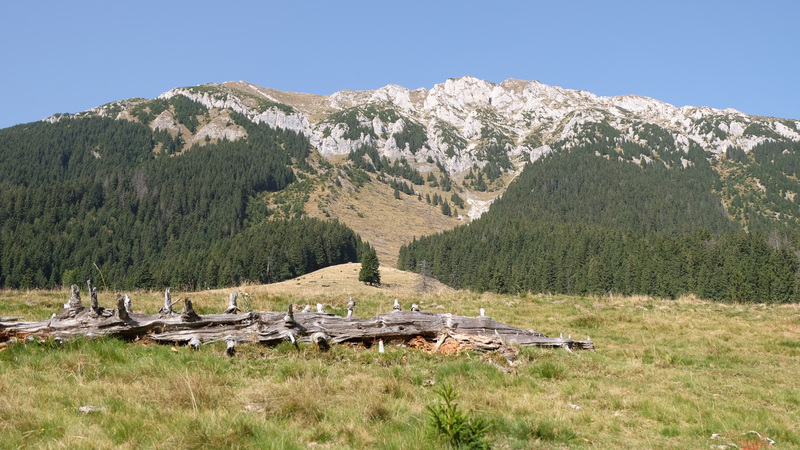 We spend 2 nights to the oldest guesthouse in Piatra Craiului National Park. Accommodation in big dormitories with 2, 4 or 8 beds rooms with outstanding views of the mountains. Day 2. 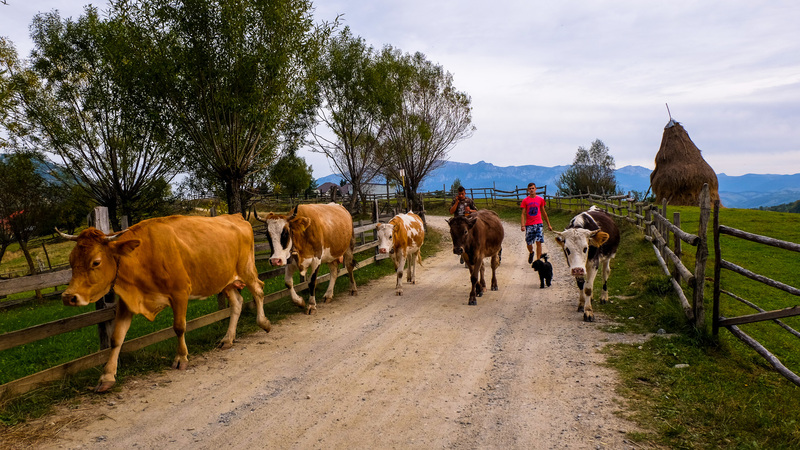 Breakfast in the morning, then driving to the Piatra Craiului National Park (King’s Stone) – where we trek through authentic mountain villages – very nice countryside. 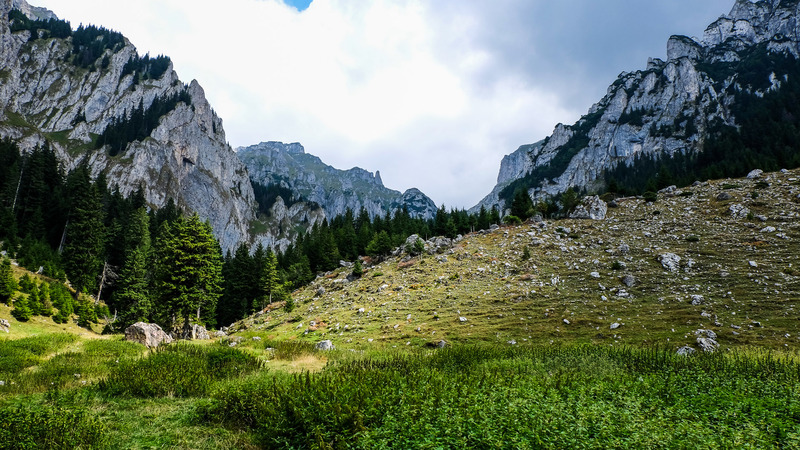 On our way we may see orchids, gentians, campanulas and endemic flowers like the Carpathian Iris, scattered around over beautiful alpine pastures and meadows covered with windflowers. 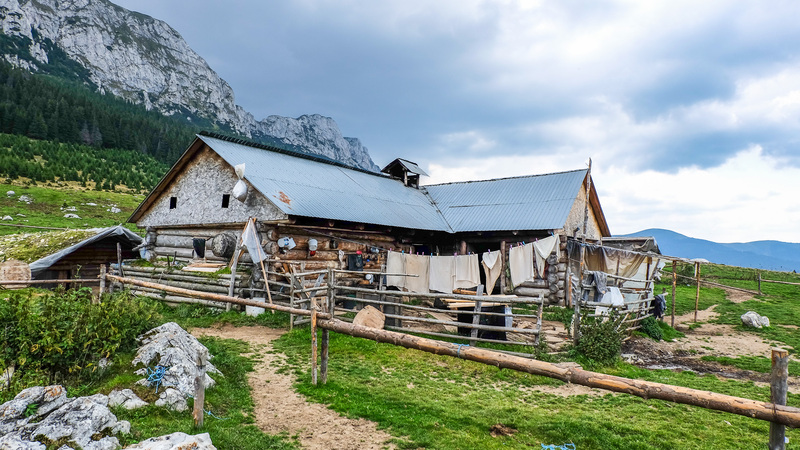 We will spend another night in these beautiful surroundings in the oldest guest house in the Piatra Craiului National Park (Duration of the walk: 5 – 6 hours, easy to medium effort, uphill/downhill walk: 500 m/500 m). In the evening there will be a BBQ dinner. Day 3. Breakfast in the morning. 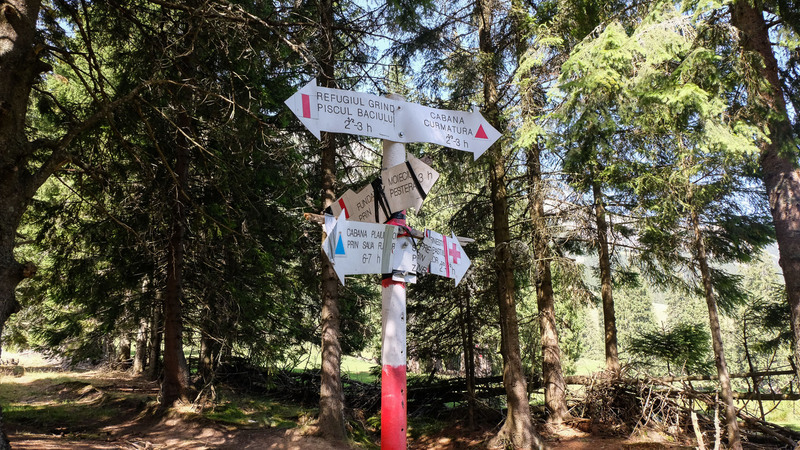 Walk to the rustic Curmatura hut into the Piatra Craiului National Park where we may have a drink, visit to an authentic sheep farm and then walk through the spectacular Prapastiile Zarnestilor gorges to Zarnesti (Duration of the walk: 6 – 7 hours, medium effort, uphill/downhill walk: 700 m/700 m). 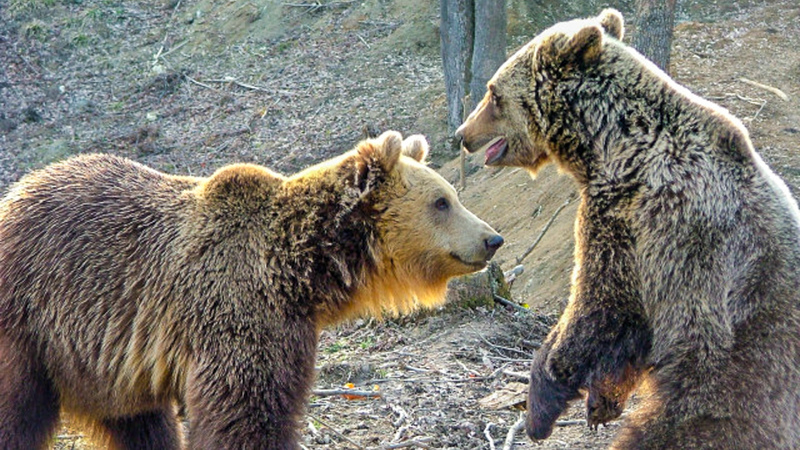 Zarnesti once was made famous through the “Large Carnivore Project” dealing with the bears, wolves and lynx in Romania. We spend 4 nights in a welcoming guesthouse in Zarnesti (twin or double rooms with privare facilities). Day 4. Visit to the Bran Castle a.k.a Dracula’s Castle. 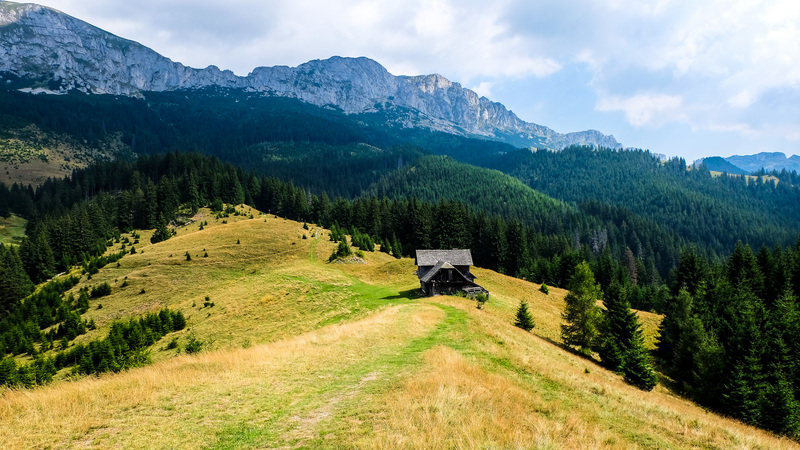 Walk in the Bucegi Mountains with splendid views of the Craiului Mountains and then to Bran village. (Duration: 5 – 6 hours, medium effort). The Dracula’s Castle in Bran is no doubt one of the milestones when travelling in Transylvania. Towers, narrow corridors, hidden premises – the castle offers many interesting facts and stories, mysterious enough to incite the legend lovers. Day 5. Breakfast in the morning, then transfer to Brasov (50 km). 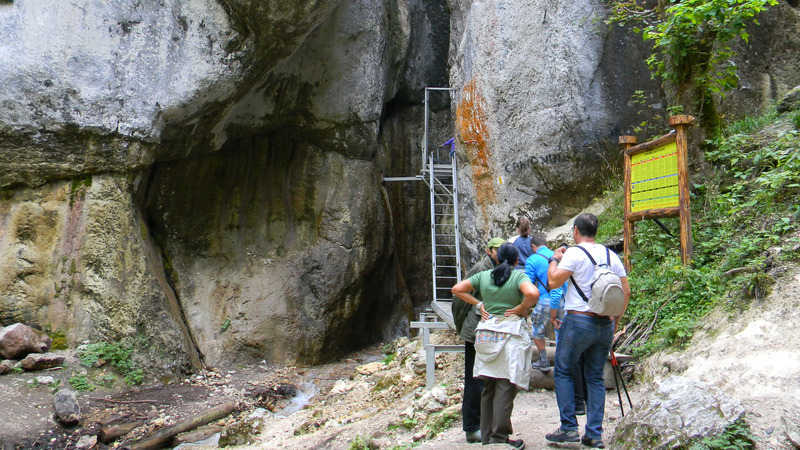 Hike on the Piatra Mare Massif, through “7 Ladders” canyon. 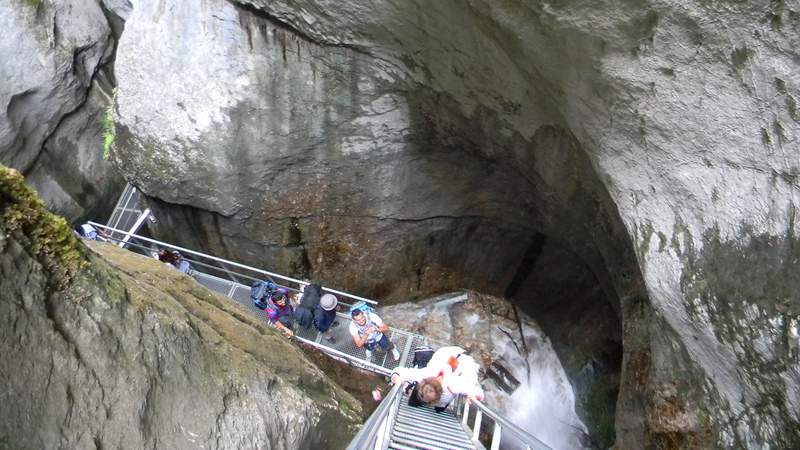 (Duration of the hike : 6-7 hours, medium effort, uphill/downhill walk: 800 m/800 m). After the hiking tour we go directly to our bears watching program (about 3 – 4 hours). From June to August the probability to see bears are 70-90%. 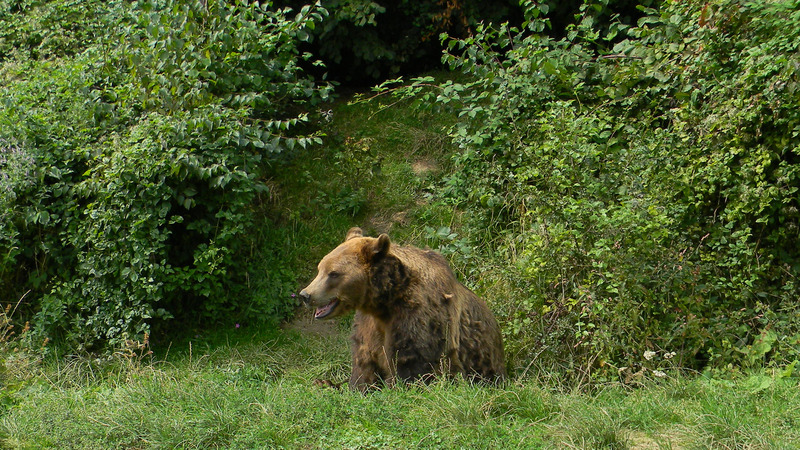 In May, September and October the probability to see bears are 60 – 70%. Day 6. 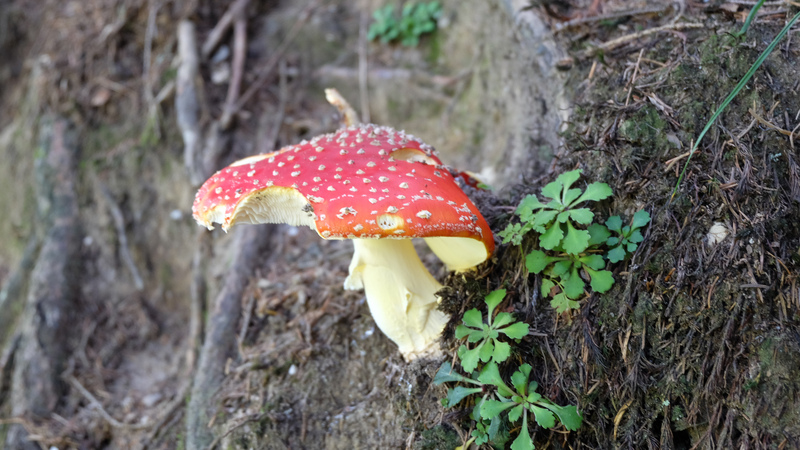 Day trip to Sighisoara (Zarnesti – Sighisoara: 147 km). Sighisoara – the birth place of count Dracula. The town is UNESCO heritage listed and it is also known as the pearl of Transylvania. 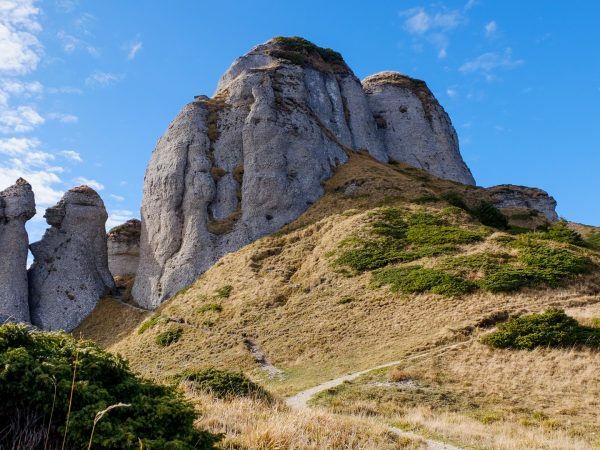 Located on the Tarnava Mare River, the town was built by Saxons between the 12th and 17th centuries. Eleven towers guard Sighisoara’s walls, among them Tailors’ Tower and Shoemakers’ Tower. Day 7. Transfer to the airport for departure. 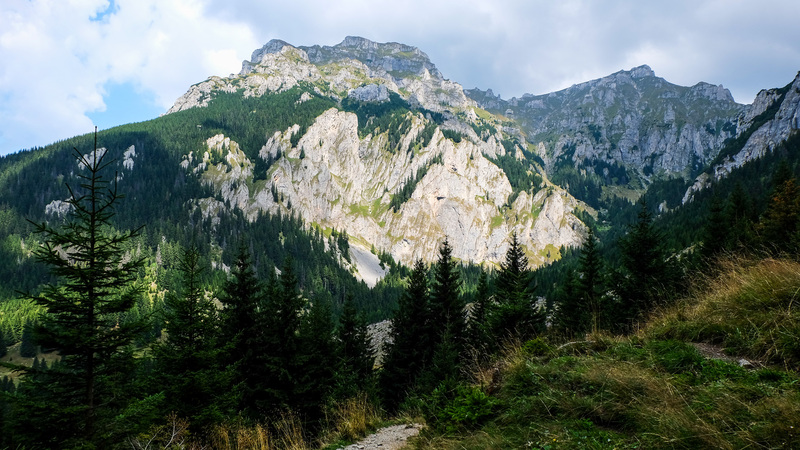 We can not guarantee that we will see animals (bears, deers and wolves), but we can guarantee beautiful landscapes. Entrance fees to Bran Castle (7 euro) and Sighisoara (Clock Tower – about 3 euro). 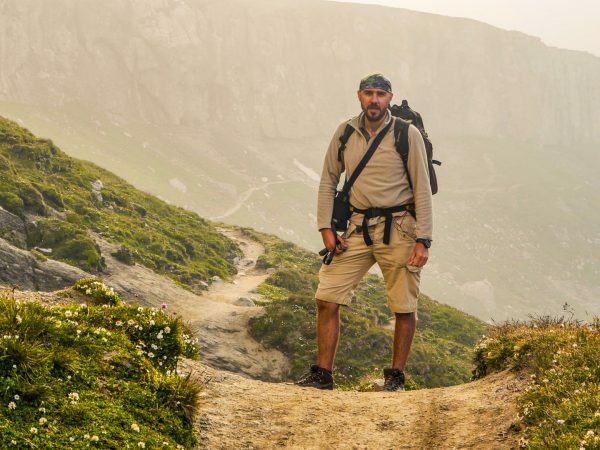 *Insurance – Every participants will be requested to be purchase their own trek insurance for the duration of the trip, that covers mountains in summer conditions up to 2,000 mts.